A number of people have confessed that they were drawn to kendo after reading books by Eric Van Lustbader or Trevanian who ‘s works featured heroes who had developed supernatural powers from their studies of the martial arts. This romanticised view was not limited to a few western authors. Japanese mythology also accredited supernatural power to the “Way of the Sword”. More recently manga have continued to give kendo this sword and sorcery image. I believe that there is a grain of truth in most legends. When you consider the ability of elderly kendo teachers to dominate younger, fitter opponents with the power of their minds (kizeme) it’s easy to realise that kendo transcends the purely physical. Having thought for some time to see if my 45 years of kendo practice have given me any superhuman abilities, I realised that I am able to stay sitting comfortably in my morning commuter train seat while my fellow travellers fight their way to the exit, and I still beat most of them onto the Bakerloo line. Now I appreciate that this does not compare with the ability to levitate, as seen in many Hong Kong Kung fu movies, or the power to make birds fall from the trees at the sound of your kiai, but it’s a start. On a more serious note, I believe that kendo does help develop the ability to stay calm under pressure, to strive when the odds are against you, to be confident yet modest and that empathy and fighting spirit can go hand in hand. Where I am not clear is whether these attributes are unique to kendo, or if they are as easily learned from other martial arts or team sports. I am also unclear as to how long it takes to acquire these qualities. I am also interested to know whether physical mastery and mental development proceed at the same speed. Can you become a physical expert who does not grasp the nuances of kendo philosophy and vice versa? 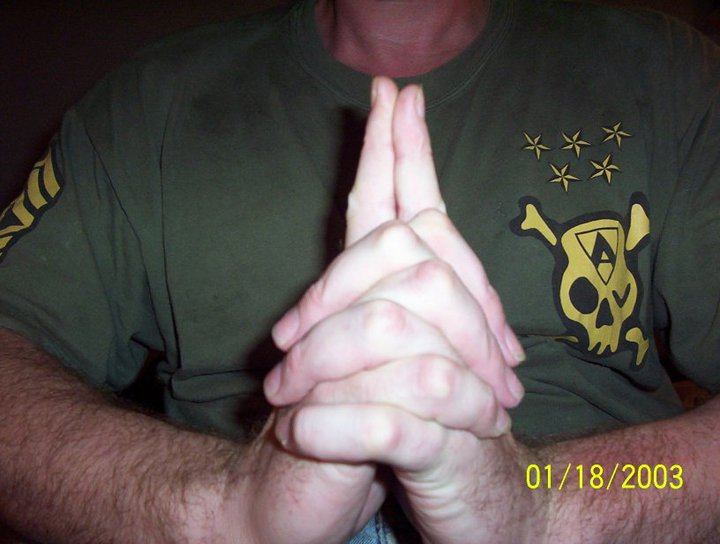 I have heard people give very well thought out rationales on the deeper meaning of kendo before they have acquired basic hand and foot co-ordination. I would really like to hear your comments on whether kendo has changed you as a person and if so in what way. How long it took to make any appreciable change in your personality and whether you think that change would or would not have happened if you did not practice kendo. If you have learned to levitate or bend spoons without touching them, please tell me about it. Sometimes when talking to newer kendoka about the objectives and culture of kendo, I am reminded of a manzai comedy sketch I saw many years ago. The principal comedian asked a supposedly non- Japanese sidekick about his understanding of wabi sabi (the Japanese aesthetic of imperfection and oneness with nature). 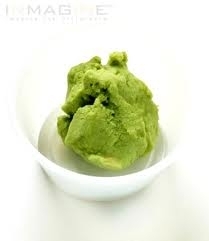 The foreign straight-man replied that he loved wasabi (Japanese green mustard) and how well it went with sushi and noodles. The fact that we very seldom “get-it” from day one, is not surprising! Kendo whilst a sport, is built on a multi layered philosophy incorporating Shinto and Confucian and Taoist thought augmented by the principles of Zen. The difficulty in fully understanding the ethos of kendo is not reserved for beginners. Kendo’s culture is similar in some ways to my Microsoft Office software. Most of us get really good use from about 30% of its functionality, although we seldom bother with the other 70%. Motivations for taking up kendo are varied: from a love of Star Wars or Manga to an interest in Zen, or to the fact that it simply “looked cool”. For some people of Japanese heritage outside Japan, it’s a link with their roots. In Japan the reasons are equally diverse: “mum made me do it”, “it was compulsory in school”, “it was a way to get fit after the kids graduated from university” etc. Kendo however, has a way of drawing in its practitioners, so that once in the routine of regular training it’s hard to stop. The reasons for keeping going, if even thought about, are very different from the reasons for starting in the first place. When I started kendo in Japan in the 70’s most of my peers had continued on a path that started in the school system and had given little conscious thought to their reasons for training. Some of the senior members and teachers had started kendo before the Second World War and had been through the occupation and the resultant ban on martial arts. I imagine that this hiatus had caused them to seriously reflect on their motivation before restarting practice. At the time, I did not have the temerity to ask directly about their experiences and the few conversations I had with them on the subject at drinking parties were hard to remember afterwards. With hindsight I wish that I had asked more questions, although I doubt that I would have received any more answers. The ethos at the time; was that it would have been beyond impertinence for a beginner in their twenties to ask for justification from a master in their 70’s. The response to philosophical questions was expressed physically. The treatment that I received however was always concerned and courteous. I imagine that at the time, there must have been some internal debate between curiosity as to why a foreigner was interested in something so intrinsically Japanese, and the desire to evangelise the values of kendo. I have reached the conclusion that whatever your ethnic background, the most important thing is starting kendo in the first place. Of course the drop-out rate is enormous. 90% of those who start kendo beginner’s classes give up within 6 months. But for those who stick with it, the process of regular keiko does more to clarify the meaning of kendo than could any reading matter. The ZNKR “Purpose and Principles of kendo” is a good reference to kendo’s values, but to quote Nike’s advertising gurus, the best way to achieve knowledge is to – “Just do it”. I was gratified by the high level of feedback to the article on “The Aim of Kendo” by Matsumoto sensei. I know that many of the people that commented are active shiai participants. This bolstered my view that an understanding of kendo philosophy is a natural bedfellow for hard training and ambition to do well in shiai. I certainly take his point, but to be honest I would assume that in the true spirit of zen martial arts you either exhibited kankyukyojaku and fukaku or you didn’t and in the same way you either went commando or you didn’t; and if you didn’t you should be ashamed of yourself. The point I am trying to get to is that as Matsumoto sensei said “It is the true aim of kendo practice not only to try to improve your technique, but also to train your mind and spirit to find the rightness of mind (“no mind” / mushin), so that your mind, which is the source of the technique; will not be bound by anything.” So in short, we should train without being overtly analytical, but should reflect on how we achieve correct kendo attitude. So where does shiai fit in? Surely it is the opportunity to test how you have progressed, both in the development of technique and the strength of your mental attitude in as close a situation to “real” shinken kendo as can legally be engaged in. When you are under pressure in shiai, that is the time when the conscious mind shuts down and the reflexes gained through hard training take over. Some dojo will tell you “we do not teach shiai kendo. Our approach is based upon traditional kendo”. This seems to me to be based on slightly strange reasoning as kendo developed as a means to settle “life or death” contests. I have a view that what these “traditionalists” are really against is the use of cheap tricks to win in shiai. This is a sentiment with which I wholeheartedly agree, but I also believe that in high level shiai it is the kendoka who has invested in thousands of hours of grueling basic practice and who avidly reads about the experiences and philosophy of previous generations of sensei who triumphed in the shiaijo. In the course of the normal disjointed after keiko conversation, someone mentioned that Google had developed a new application where you can send a picture of an object from your smart phone and Google would tell you what the unknown object is. Kicking this idea around, we decided it might be more useful if you could take a snap of yourself and ask Google the question “who am I”. This app would be of immense value to enthusiastic partygoers, philosophy students and of course Zen practitioners. I wrote sometime back about the connection between kendo and Zen, talking about the importance of keeping a natural, level mind (heijoshin), unmovable mind (fudoshin), or aiming for the spirit of no mind (mushin) in kendo practice. I have experienced all of these, not simultaneously or constantly in my keiko; but have enjoyed brief flashes of feeling that my mind is in the right place. What I am not sure about is whether these inner elements of kendo have made any lasting difference to me as a person. Yamaoka Tesshu’s assertion that the “Sword of no-sword” is about killing the ego, is an ideal that I subscribe to, but that I find difficult to prove if I have made any real progress in that direction. I am fortunate have been around for long enough to be on speaking terms with some of the big “third generation” sensei and have met a number of the second generation greats. Although to a man they have all been exceptional people and role models, I have met no-one who is not, or who has not been conscious of his position in the kendo hierarchy and who did not show some sense of rivalry with his peers. Perfect beings or not, I find it much easier to relate to fellow kendoka than to people that I know from other areas of my life. We have a shared legacy and set of experiences, so even on first meeting we have lots to talk about. Perhaps not so much needs saying between old kendo friends and colleagues. Having known each other for many years, much of what needs to be has already been said; nevertheless we continue to repeat the same conversations. Perhaps this is the most one can hope for: a comfortable if somewhat grumpy view of one’s place in the universe. Either that or another 40 years of practice is needed to reach satori. Anyone who makes significant progress in a sport or art, has to be to a greater or lesser degree, self-centred; putting in extensive time for training and reflection. Kendo is by nature an introspective pursuit. The character, do or michi, tells us that it is not just a pastime but a way, a path or roadmap for our lives. If we travel even a moderate distance down this path, we tend to invest an enormous amount of time and mental space in the pursuit of our kendo goals. If we do advance, then the call on our time becomes even greater with teaching, refereeing and grading panels etc. Samurai in feudal Japan were wholly engaged in following the way of the sword, but modern day kendoka typically have to find space for it amongst the need to earn a living and sustain family and social relationships. Other kendoka are of course allies, but in my view, even in a closely knit club or dojo, we are intrinsically working towards our individual development, collectively. The sempai, kohai system in kendo ensures that we always have someone to mentor us and because we have common interests and goals we can relate as a group. Justifying our investment in kendo to family members is not nearly as simple. As a naïve young foreigner in Japan, I was convinced that the families of kendo players were all totally supportive. This, I am sure, is true of professional kendoka whose skill and dedication pay the rent. I am less sure that this is, or was, true of shakaijin kendoka; even though Japanese good manners nearly always resulted in positive comments from wives and children about ottosan’s kendo career. I was surprised on just one occasion to hear the wife of a much respected older kendo sempai, go into detail about a long history of selfishness and neglect. Admittedly, she was in very poor health and perhaps felt that the time for tatemae was passed. A number of kendo friends of my own age or younger, both in Japan and the west, have had the plug pulled on their marriages or traded in their partner for a more kendo friendly version. Living with a kendoka must be similar to living with a religious fundamentalist without sharing the beliefs. The good news is that they we not around for much of the time as we are too busy with kendo. The sequence of perception to waza in kendo is described as ichi gan, ni soku, san tan, shi riki. In my understanding, we see the opportunity, immediately push off from the back foot committing the whole of our power from tanden and complete the technique when we reach the target. Notwithstanding tales of zatoichi , (the blind swordsman), sight is the first element of any kendo technique and the way that we watch our opponent is crucial to the success of our attack. If we stare at the target we are going to strike, we give our opponent obvious notice of our intention. If we look just at his or her face to try to understand their next action, we may miss the signals they give when they start to move hands or feet. If we look just at feet or hands, we can be easily tricked by movement designed to get our attention. If we look at the point of the shinai, there is even more chance that we may be fooled by a feint. 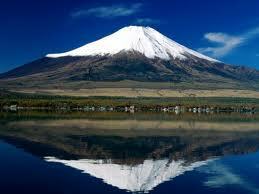 We therefore use enzan no metsuke, (the way of looking at a far mountain). As the name suggests, enzan no metsuke is a way of looking at the whole picture; the overall shape of your opponent, his body, hands, feet, shinai and face, particularly his eyes. At first you may need to train yourself to do this. Hopefully, with experience it becomes second nature. 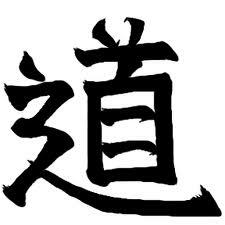 Enzan no metsuke requires a clear unfettered mind, sometimes referred to as heijoshin, (normal mind). You should not anticipate or second guess your opponent’s action, but instead your mind should be a mirror that reflects his true actions and intentions, allowing you to act instantly. No matter how perfect your perception becomes, it is of little value unless you can develop technique that flows equally instinctively, that too is a product of regular concentrated keiko. 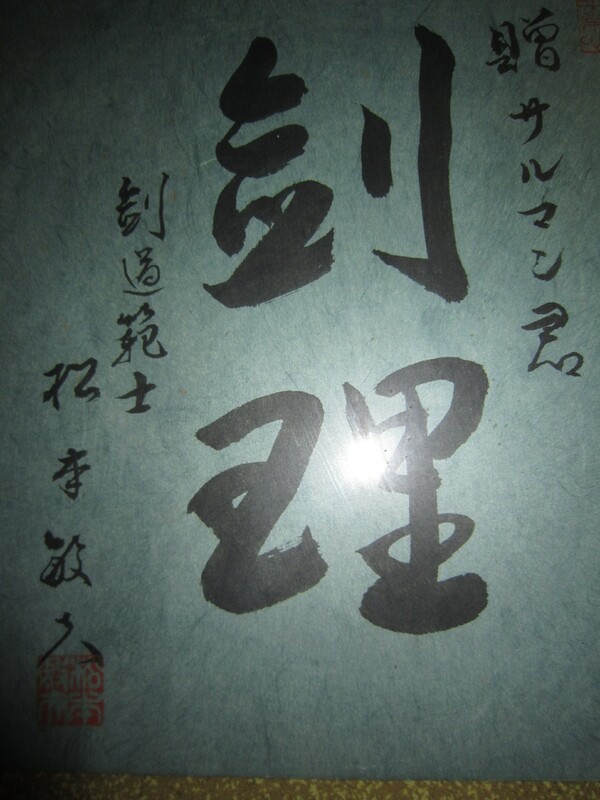 One of my most treasured kendo possessions is a piece of calligraphy, given to me by the late Matsumoto Toshio sensei, kyudan. The characters simply say ken ri, which to my meagre understanding translates as sword reason or theory. This was the cornerstone of Matsumoto sensei’s teaching and means that there is a reason for any action we make in kendo. At the time I received it, as a 4th dan in my twenties, it seemed logical if slightly esoteric, but only now as my kendo has matured over the years; does it really start to make sense on a physical level. When I read the depth of analysis of kendo theory that regularly appears in the various kendo forums, I am amazed at how knowledgeable many relatively new kendoka appear to be about complex concepts. The question, however that is often in the back of my mind is, are they actually able to manifest these theories in their keiko. I suspect that I may be intellectually lacking, but it is only after I have practiced something continually for years that it starts to make sense on a practical level. For example most forms of seme can only be successfully introduced into your kendo practice if you are completely familiar with the waza that you need to back them up. Irrashai or sasoi no seme where you invite your opponent to attack, is basically a way to allow your opponent to hit you. That is unless you have complete mastery of debana or kaeshi waza or whichever other technique you need to take advantage of his or her movement. So in my view, you need to understand the theory, but more importantly you need to be able to put that theory instinctively into practice, without thinking. Ken ri is obviously discernable in kendo no kata when it is practiced at the highest level. The difference between going through the motions of kata by numbers and watching the mastery of action and reaction or riai demonstrated by kendo meijin is immense. 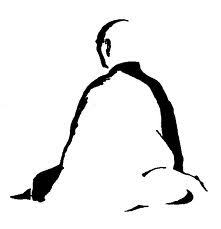 Whilst I am still in no position to best guess Matsumoto sensei’s thoughts, I am pretty certain that he was talking about reason when it is understood by the mind and body.